Hello! 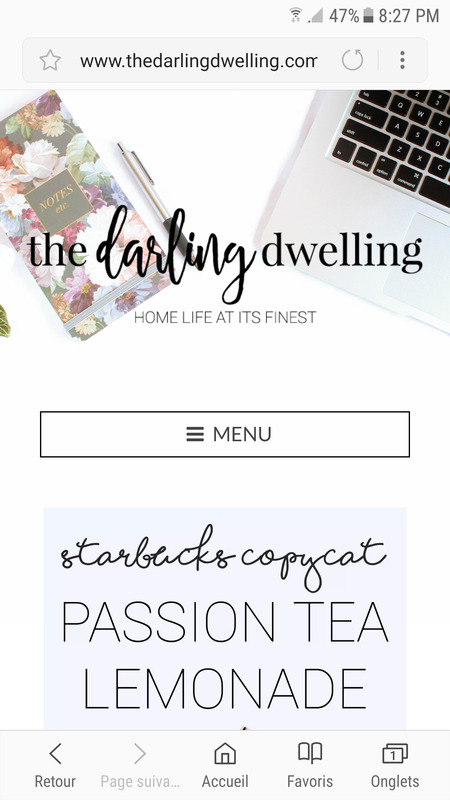 I am just loving this theme! Unfortunately, I am having an issue with my header image not loading on my mobile device. It loads fine on my desktop but not at all on my phone. I've tried resizing the image and uploading the new smaller size image but no luck. I have attached an screen shot of the desktop and a mobile screen shot. Any help is appreciated! When I was checking demo site I found theme styles are not loading. The problem is present on other demo sites too. So we will be moving all demo sites to seperate subdomains. On demo site, the background image is showing correctly on mobile phones. Give me a link to your website and I will check it for you. www. 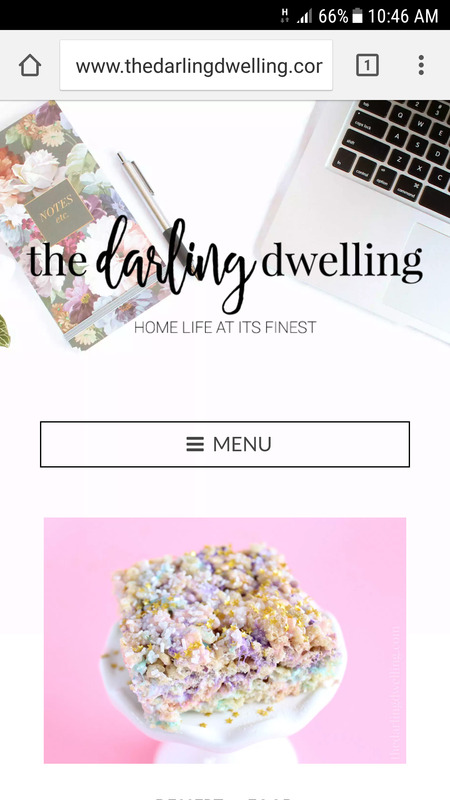 thedarlingdwelling .com is my website. It won't let me reply with a link so disregard the spaces.. I ran my images through a compression tool as you suggested. I have checked the website on both safari and google chrome on my phone. I just checked and I am still not seeing the header image. Try to test it with another phone. The background image is displayed using simple CSS rules that is supported by any browser that supports CSS1 and greater. It's even supported by Chrome v1.0 and Safari 1.0. So looks like it's not a browser compatibility issue. Please try to set it as body background (not header background). See Appearance => Background Image and remove the already set header image. Thank you for your help. I removed the photo as my header image, switched it to the background and it worked beautifully! Not sure if this needs to be asked on a different thread but I thought I had the ability to add widgets in my footer. Was that feature removed? Actually, Elif lite never had that feature but it's a must-have feature on premium themes including our upcoming theme Elif. I cannot assist you with implementing this feature on Elif lite since it involves a lot of styling (especially if you want a dark footer with white text). Elif lite has a second theme layout called "Simple" (see Appearance => Customize => Design & Layout => Theme Layout) which will combine site header with the sidebar (A preview for this layout was available in the old demo site but we will add it to the new one in the future). Maybe you though these widgets are footer widget but in fact they are sidebar widgets which were placed inside the header with black background and white text color? It's easy to replicate this, just change theme layout to "Simple" and set header color to white and background color to black. 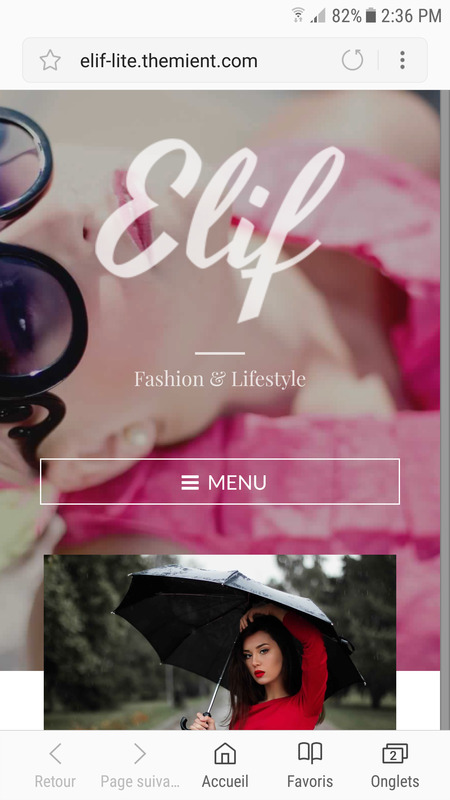 If possible, please share your opinion about Elif lite on WordPress.org https://wordpress.org/themes/elif-lite. I am not asking for 5 stars, just write your honest opinion about this theme.